Business travel can be stressful and tiresome for multiple reasons. 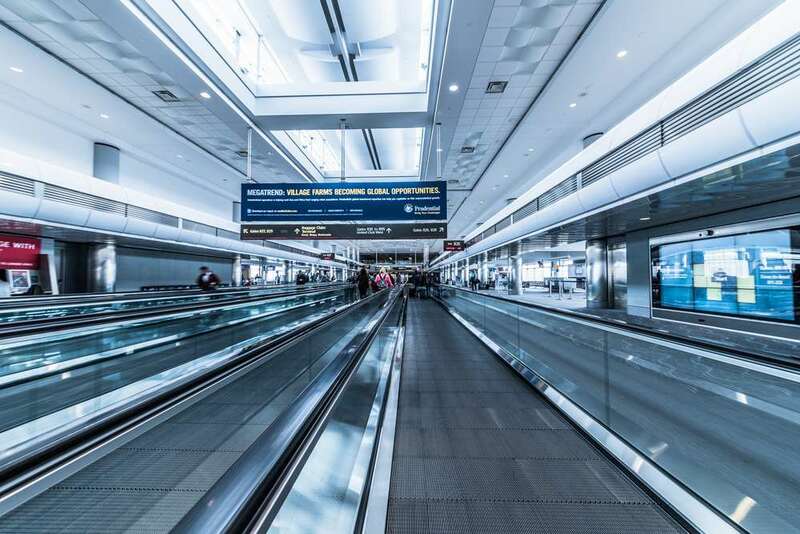 Not only can inconvenient flight times and different time zones throw you off, but finding somewhere to stop and freshen up if you’ve got a late check-in can be a challenge after an early flight; as can finding somewhere suitable and professional to conduct meetings when in a new city. As an Italy-based entrepreneur I frequently find myself travelling for work, and over the years I’ve developed a number of tricks that make short and sweet business trips a little bit more manageable. Why not try them out? Working on a plane isn’t ideal, and many aircraft don’t have great wifi yet. So if you’re thinking of working on the plane, make sure you’ve got some work to do that won’t necessarily require an internet connection. It can also be a good idea to do the thinking part of any task before you get on the plane, because it can be distracting environment that isn’t conducive to the most productive working after take off. If actually working on the flight isn’t something you fancy, ensure you’ve done everything that needs doing before boarding the plane, so that you’re not sat there feeling stressed about your long task list. This is particularly relevant if you’ve got a long flight, as stress is not conducive to a sound sleep! If you’re flying long haul, or are dealing with a time zone change of over four hours, be strategic about when you sleep on the plane to give yourself the best chance of feeling fresh when you get to your destination. A great way to avoid horrendous jet lag is to set your watch to the new time zone as soon as you board the plane, and then sleep accordingly. Invest in a comfortable neck pillow, a decent eye mask and some ear plugs so that you’re able to block out annoying aircraft rumbles, the sound of people walking up and down the aisles, and any lights being switched on or off. Also ensure you have some extra layers with you, because planes can get chilly. Feeling well rested will make all the difference! If you have a morning meeting, try and arrive at your destination the evening before. This will ensure you have time to bank a good night’s sleep and freshen up in the morning before conducting any business. If you have to wake up at 3am to catch a 6am flight, by the time you arrive at a meeting you’ll be exhausted and disorientated. Even the most seasoned of commuters would find this kind of journey fairly unbearable before work, so go for an evening flight the day before if you can. Arriving late at night the day before a meeting is always preferable to arriving in the morning. If you’re not going to be able to fly to your destination the evening before, and are going to find yourself in a new city with just a few hours to kill until your meeting or conference, it’s always good to set yourself a base before you board your flight. This should be somewhere you can relax, freshen up, get some wifi and just generally get your head in the game before getting on with your work. Using a day use hotel service to get a hotel room and shower for a few hours can be a good idea; or alternatively you could find a quiet coffee shop or library where you can sit and re-set before you have to start working. Wherever you end up, having time refresh after your flight is always a great idea, and will help ensure you’re firing on all cylinders when you have to get down to business. If it’s on you to pick a location for any meetings you might be conducting, try and get there prior to the meeting to ensure it’s a suitable space. Coffee shops can be a good option, or look for a nice big restaurant or bar that’s bright and spacious. You can also book out the meeting rooms and other hotel services on demand in some cities via a platform like DayBreakHotels, or look for co-working spaces that might allow you to hire their meeting rooms for a few hours. This is ideal if you require a more formal environment, or need to accomodate a number of people. Business travel can be stressful, but it doesn’t need to be! As with most things, organisation is key. Plan ahead, get some rest, and your overseas travel can be exciting, productive and lucrative.